This isn’t the first time we’ve visited Kuala Lumpur. We last spent some time here in December 2009. I don’t know whether its KL or us that has changed, but one thing that is definitely different is our budget. If you want you can read about our 2009 Visit to Malaysia here, and see how our experience differs. In 2009, we had a much more generous travel budget as we were both working. We stayed in a deluxe room at Traders. We enjoyed fine dining in expensively decorated restaurants and gulped cocktails at sophisticated bars around city. We spent our time on organised tour buses, exploring the main tourist attractions. We ascended 3 towers, including the KL landmark Petronas Towers. This time round there are no ‘free’ golf carts to ferry us the 150m to the nearest mall, or hotel staff waiting at the entrance to greet us with bottled water and scented hand towels to mop our brows. Am I bothered? Not in the slightest. I wasn’t that keen on visiting Malaysia again. Although I had enjoyed my previous stay; it was more of a desire to explore another country, a been there done that thing. Craig made some compelling arguments about why we should return to Malaysia, he conveniently managed to omit the excellent diving on offer! I’m glad he did, and I’m surprised to learn that we’ve spent well over a month touring around the country. 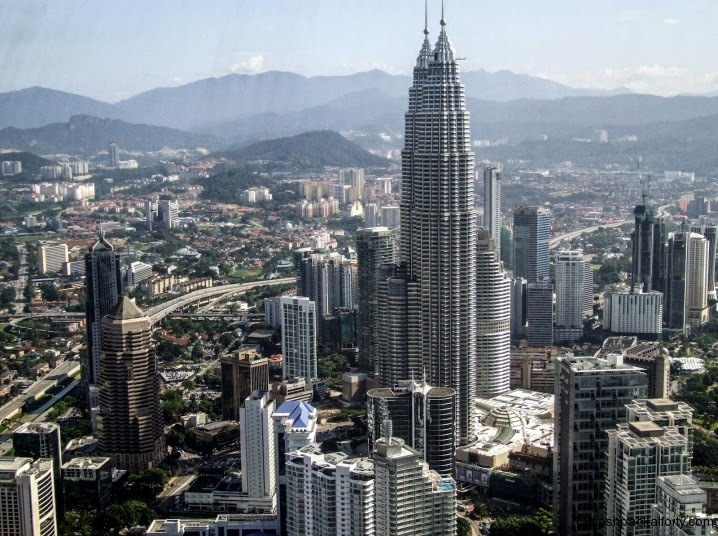 During this trip to Malaysia, we’ve stayed in KL on several occasions, as we’ve made use of the great transport connections available to see the rest of the country and visited Brunei. What I now know is that you can enjoy KL on a ‘flashpacking’ budget, and you don’t need to spend a lot to get around the city. 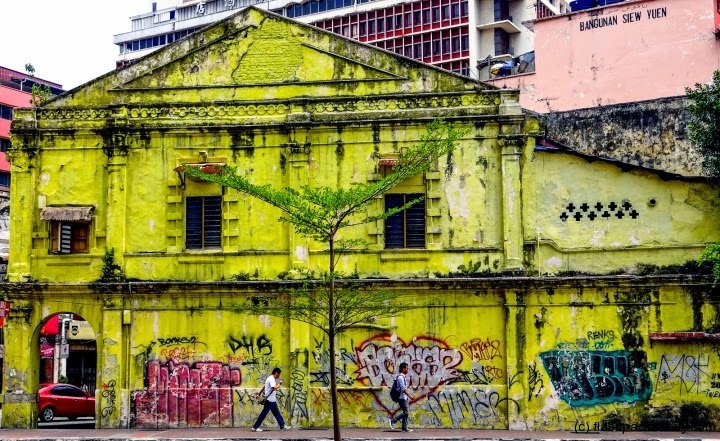 In fact, by not cocooning yourself with other tourists and just visiting the major tourist attractions you begin to understand that KL is an exciting city, with a bit of a soul! What I love about KL is it’s so cosmopolitan. This cliché is often overused, but when you look at the diverse range of restaurants, entertainment, bars, museums and markets catering for locals and visitors from around the world, I think it’s quite appropriate. As we’ve said before, food is of a very high standard and you can eat really cheaply here. 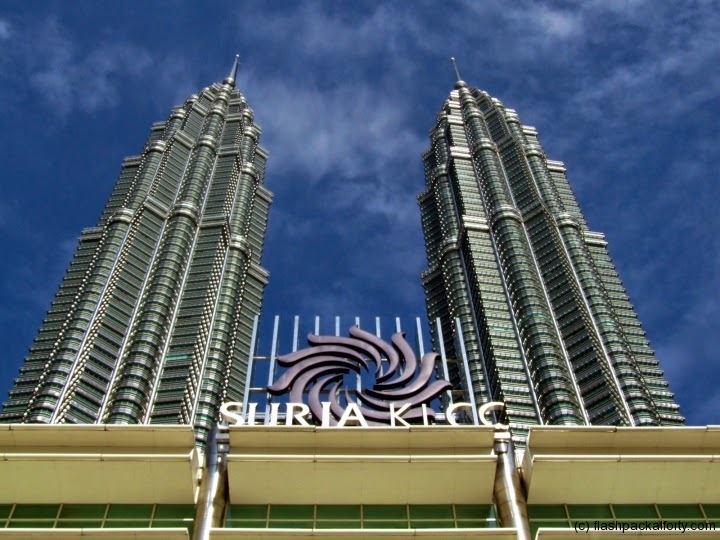 Like Singapore, KL is popular with visitors from all over Asia, and also has a fairly large expat community. You can get a spacious clean room with private bathroom and air-con, tv etc for about US$20-25 in a great central location. I think you’d struggle in most major cities to get such a bargain. 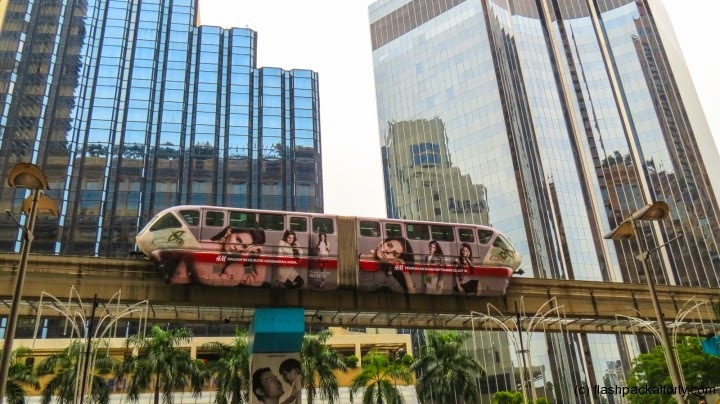 Whilst visiting KL this time, we’ve relied on local buses, trains and even the monorail to transport us about the city. The good thing about KL is walking around is one of the best ways to experience the gentle energy and friendliness of Malaysians. Although you can’t easily walk around the entire city due to the road network, and it’s size, it’s very cheap and easy to navigate yourself to places of interest. 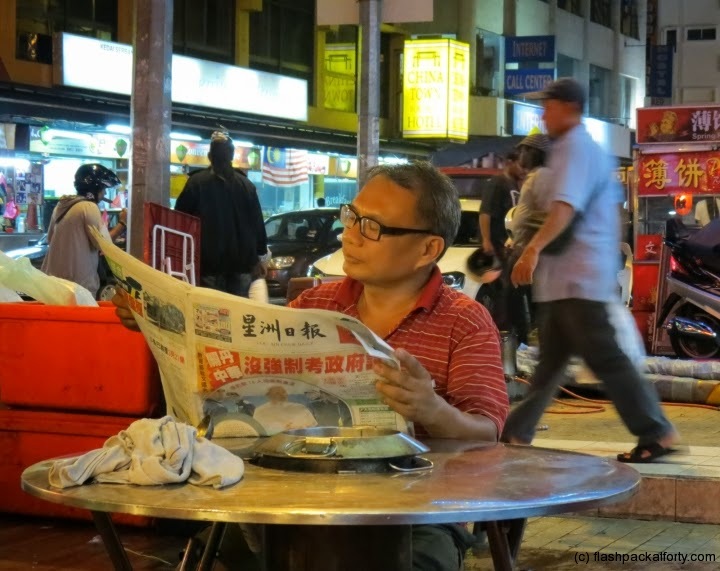 Our favourite places to chill are at the pavement cafes around China Town or Little India. The food is good and cheap and these places are bustling with people, so you’re never alone and will always find somebody to strike up a conversation with. Malaysia is shopping mall crazy. There are malls all over the country and they are very popular with Malaysians, who don’t just go there to shop or eat. It’s a place to socialise and be seen. I guess it beats sitting in a pub! 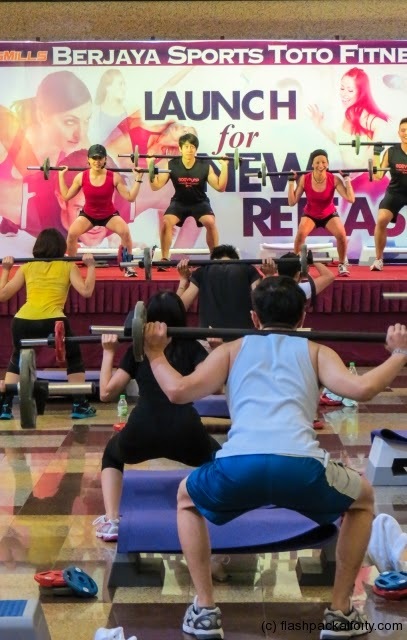 However, the malls in KL are something else, stocking every brand imaginable and offering all manner of services from plastic surgery, a public exercise class or a spa massage. Our favourite mall was the Berjaya Times Square Shopping Mall, its enormous with loads of events and activities taking place. Its a great place to stroll and people watch. 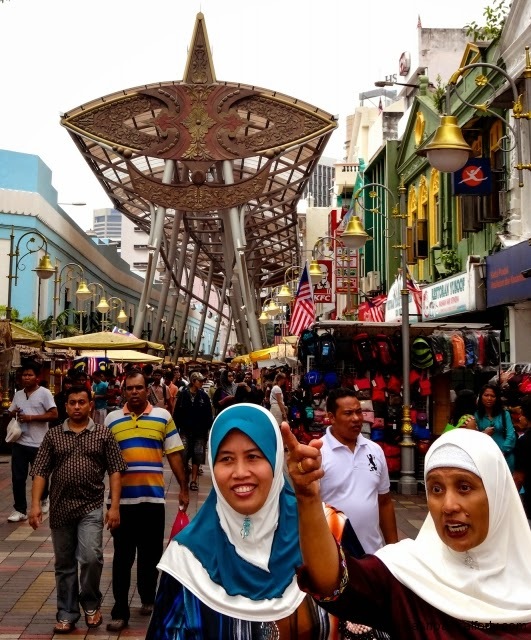 Shopping in KL is great, and can be done cheaply at the many markets. Most things have a price tag and negotiating is straightforward and easy. If you don’t like bartering, then KL is the place to come and do your shopping. I’m just happy window shopping these days. We were in KL during Hari Raya, which meant that most of the museums were closed for about 3 days during part of the holiday period. We decided to use this opportunity, to cure Craig of his ornithophobia and visit KL Bird Park. It was a strange experience, but I think we did the trick and Craig is cured. The bad news is, I think I’m now frightened of birds. We also visited the Batu caves, which are free to enter, it cost us 3(MYR) return to get there on the train from KL Sentral. The caves are interesting but not amazing. The monkeys, around the hindu temples, are hilarious stealing offerings and drinks from visitors. There are some tasty market stalls selling all manner of sweet things – delicious! We visited the Islamic Arts Museum Malaysia, which has a many artefacts from around the world and is worth a visit. The different galleries contain an eclectic mix of objects from jewellery, weapons and ceramics to architectural models of mosques. The roof terrace was currently being renovated, and despite my best endeavours to secure access, it wasn’t possible. However, when it does open it will offer an additional view of the KL skyline. Kuala Lumpur International Airport (KLIA) is regularly announcing new flight schedules from different flight carriers, so will continue to be a gateway for travellers from around the world. KL isn’t just an unwanted layover destination, while you wait for your connecting flight to somewhere else. Just make sure you give yourself time to explore the creative, modern and energetic pulse of this rapidly growing city. The next time our journey brings us back to KL, we’ll be heading to Chinatown for a slap up meal, a couple of beers, and then maybe a bar or two. Can’t wait! I guess its us that are changing.